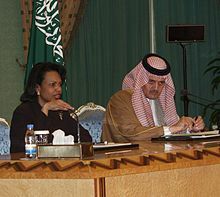 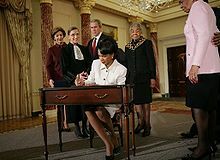 During a farewell interview in early December 2008, Rice indicated she would return to Stanford and the Hoover Institution, "back west of the Mississippi where I belong," but beyond writing and teaching did not specify what her role would be. 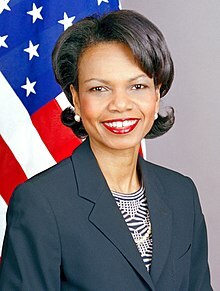 Rice's plans for a return to campus were elaborated in an interview with the Stanford Report in January 2009. 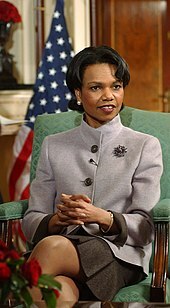 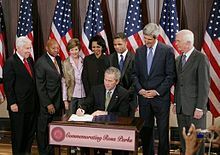 She returned to Stanford as a political science professor and senior fellow at the Hoover Institution on March 1, 2009. 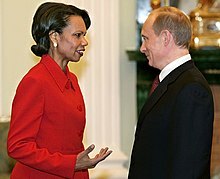 As of 2012[update] she is on the Political Science faculty as a professor of political science and on the faculty of the Graduate School of Business as the Denning Professor in Global Business and the Economy, in addition to being the Thomas and Barbara Stephenson Senior Fellow on Public Policy at the Hoover Institution.